Cybersecurity experts are quietly changing their approach to security. What you know and value about security prevention is eroding. The federal government's HR department learned the hard way. You don’t have to. You probably won’t believe it. The new approach to enterprise security is tectonic; traditional virus protection software is not required. You can stop doing your daily enterprise updates of new virus definitions. The premise that antivirus software is useful in the identification and removal of unauthorized software is flawed. Now introducing the new paradigm of prevention-based incident response. A new paradigm shift is changing the prevailing security frameworks. First, let’s uncover the underbelly of a paradigm. Thomas Kuhn’s famous book, The Structure of Scientific Revolutions, changed scientific thinking and introduced the concept of a “paradigm shift.” He shared his view that “Men whose research is based on shared paradigms are committed to the same rules and standards.” Whether we’re speaking of concrete scientific achievements, emerging theories or traditional paradigms, old beliefs can slow progress. What is particularly of interest is Kuhn’s viewpoint that a shift can’t occur using full communication, forced logic or neutral experience. Rather, this uprooting must occur all at once. In other words, you can’t be "half in" when it comes to adoption. The speed of sound may not be exceeded. The poles of the Earth are stable. It is not possible to split an atom. Consciousness is inside our brain. There are universes inside of universes. Everything that is happening is the past. In this modern world, we wrestle with existing paradigms that are accepted, if not overtly then by limited attempts to prove the alternative. Expanded value requires expanding thinking. The U.S. Office of Personnel Management (OPM) data breach presents a transferable case relevant to every CIO responsible for organizational security. A practical case that presents a lesson and has a clear solution. Thomas Pace, a principal consultant at Cylance, delivered a presentation titled “Dissecting the OPM Breach” at the East IT Leader Forum (#EASTIT), which kicked off in sunny Miami in mid-November and was hosted by Ross Abbott, CEO of SINC USA. Pace led an amazing presentation on the advanced persistent threat (APT) case study on the Office of Personnel Management data breach full report. APT is a type of threat actor, an “advanced persistent threat.” An APT utilizes network-based attacks to gain unauthorized access to exfiltrate data. The OPM data breach resulted in personnel records (4.2 million), background checks (21.5 million) and fingerprint records (5.6 million) being exfiltrated from OPM undetected. OPM had traditional antivirus software running. It didn’t help. This threat went undetected until 2015 (not a typo). Records from current, former and prospective federal employees were compromised from a system called Standard Form 86 or “SF-86.” The template for the SF-86 form is 127 pages, and most applications require additional pages. This system contained detailed lists of federal and military personnel going back 30 years. To emphasize the significant harm to national security, Pace provided one example. He noted that special operatives were not listed in the database. Imagine that there were 15 personnel stationed at a foreign embassy. Twelve are listed in the database, who are the other three? It would not take long to identify the special operatives with this information. The OPM data breach leaked our country’s most sensitive information, including the identity of anyone employed in a “national security sensitive position.” The data exfiltration encompassed a wide range of personnel at all federal agencies, from employees to contractors. The magnitude of this breach was massive. The lesson: New tactics are required to thwart security threats — the old antivirus paradigm is no longer effective. 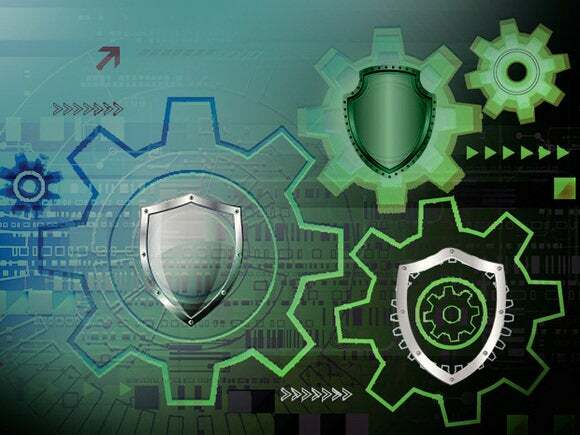 Prevention-based incident response uses artificial intelligence to identify threats, dispelling the foundational belief that antivirus software is required. Are you thinking, “Well that just can’t be?” I’d kindly draw your attention to the past paradigms that were staples of belief — until they weren’t. I didn’t say it would be easy. Changing your core belief system is difficult. Enterprises primarily use antivirus software and run quick scans on endpoints daily if not hourly. Each of us has been on the receiving end of these “quick scans” that are supposed to run at 3 a.m. but somehow kick off during that critical meeting at 9 a.m.
CylancePROTECT is a product that focuses on the prevention of attacks before they ever cause harm. CylancePROTECT predicts, prevents and protects enterprise endpoints from known and unknown threats by using artificial intelligence, removing the requirement for traditional signature updates. Cylance takes a mathematical approach to identify malware, using machine learning techniques instead of reactive signatures, blocking threats in real time. Part of the allure of being a CIO is that as leaders we learn new concepts daily and have the good fortune to share exceptional ideas with our organizations. This paradigm shift is one of those exceptional ideas. It’s worth your attention. A DLL file was ultimately found masked as a McAfee antivirus executable (OPM doesn’t use McAfee antivirus software). For over two years, OPM was infected with malware while data was exfiltrated from OPM databases. How does OPM plug this breach? How many endpoints points are affected? Think for a moment, how long would it take your organization to respond and address every endpoint in your infrastructure — days, months, years? Cylance was engaged to evaluate 10,000 endpoints and discovered 2,000 pieces of malware and contained the entire breach in 10 days. The result was nothing short of spectacular. The analysis was conducted within 48 hours, and the entire formal report was delivered in one week. After the Cylance analysis was completed, a law enforcement entity performed a detailed incident response that spanned three months; they found nothing additional. The solution: Embrace prevention-based incident-response approaches that utilize artificial intelligence to identify known and unknown threats — threats with no published signatures. Prevention-based incident response is a new security paradigm that utilizes artificial intelligence and machine learning to predict threats, prevent attacks and protect enterprise environments. A new security paradigm has arrived.